We’ve had freezing weather, snow, freezing rain and today a down pour. At least the temps hovered around 40°. The ground is still frozen and that translates to standing water. Lots of it. These two seem to be drawn to the deepest and muddiest puddles. Never fear however, they came right in the house, dried off and warmed up. Is it any wonder that we have dust as high as the ceilings? 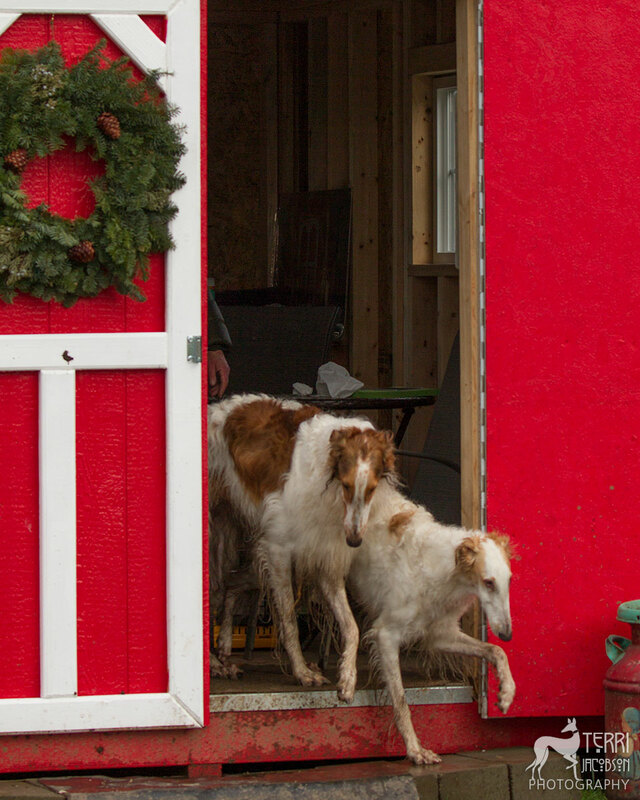 This entry was posted in borzoi, Glory, Sage.